OSF connects with the Harvard Dataverse or any other instance of Dataverse 4.0. 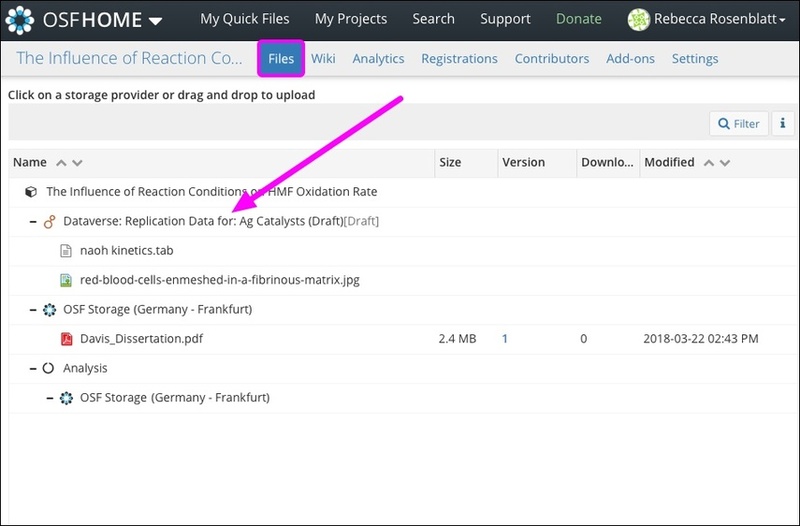 Enabling Dataverse for your project allows contributors to view, download files, and upload files to/from a Dataverse study/dataset. 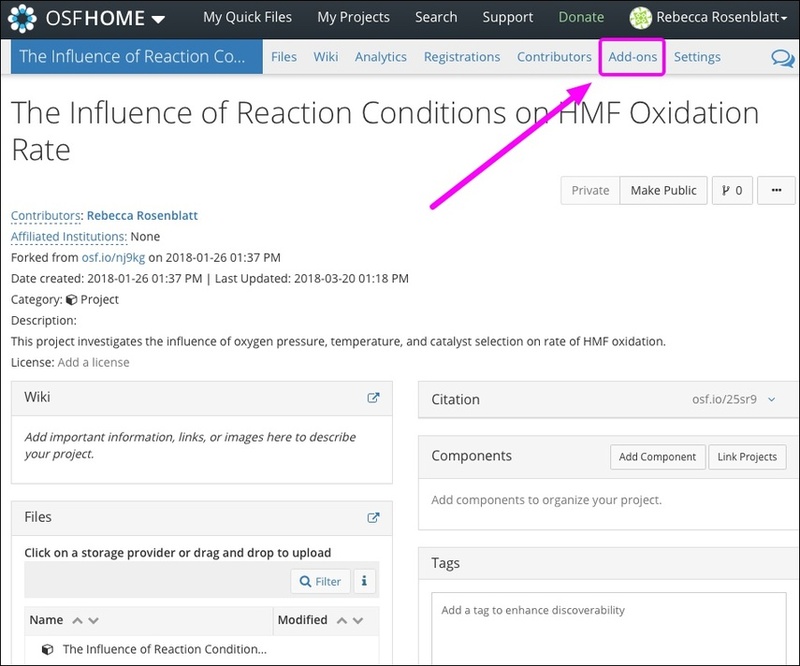 Contributors to your project will have access to both released and draft versions of your study, but only the most recent release will be made public alongside your OSF project. 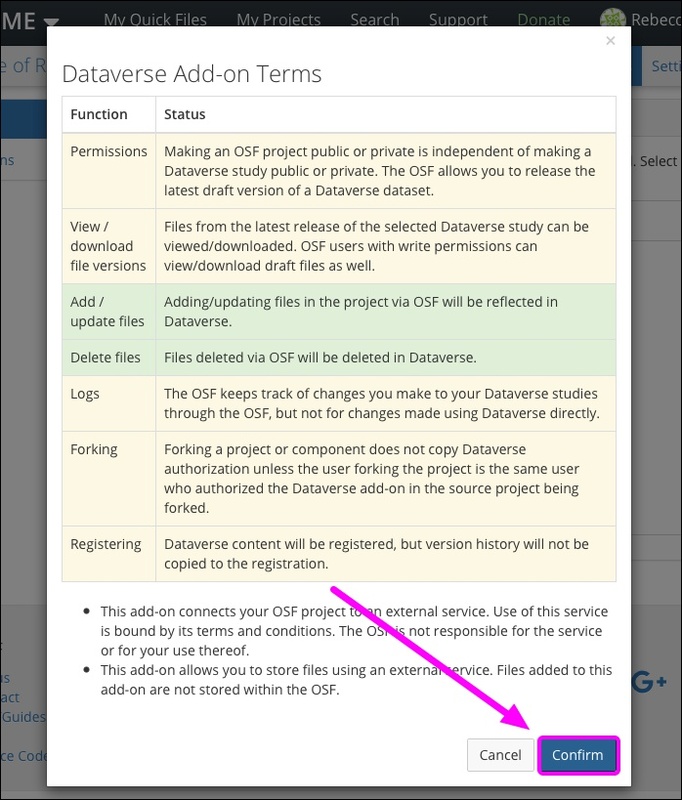 The Dataverse add-on allows you to connect external content to OSF. This connection does not store or back up this content on OSF. To back up your content to OSF Storage, consider registering your project. 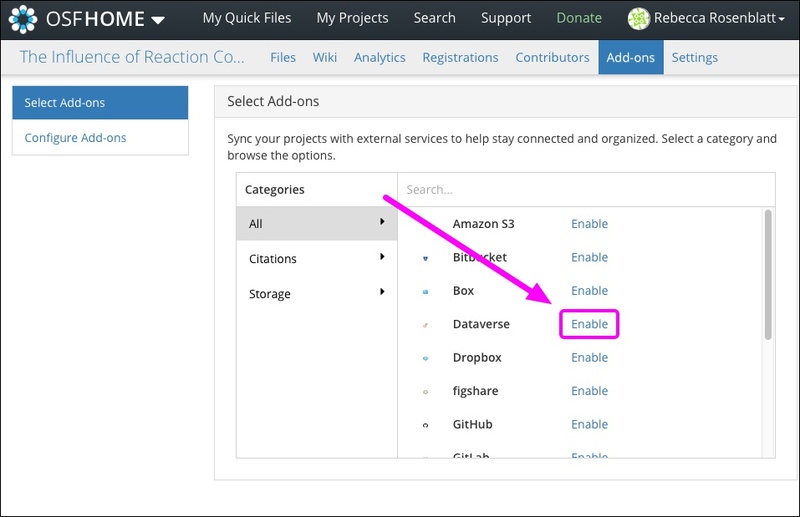 In the list of add-ons, click the Enable link next to Dataverse. The Dataverse terms will appear. 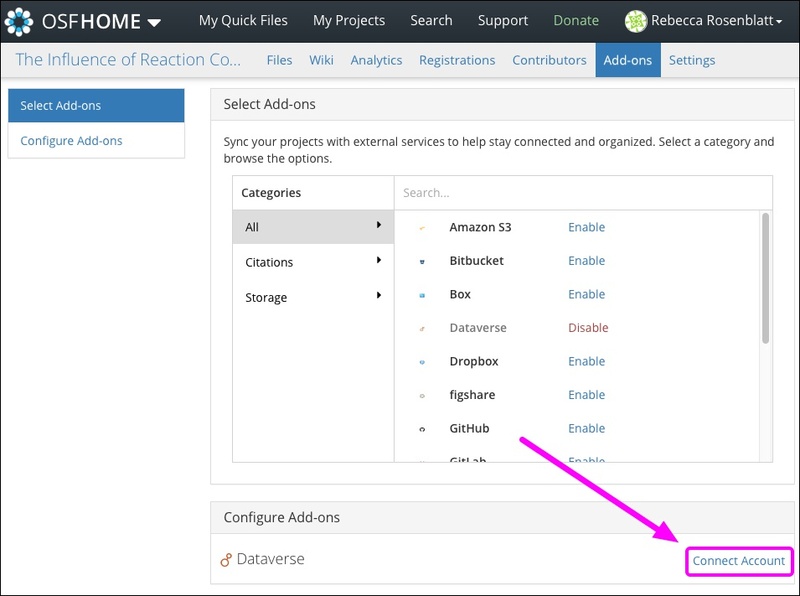 Find Dataverse in the "Configure Add-ons" section, then click the Connect Account link. The "Connect a Dataverse Account" modal will appear. 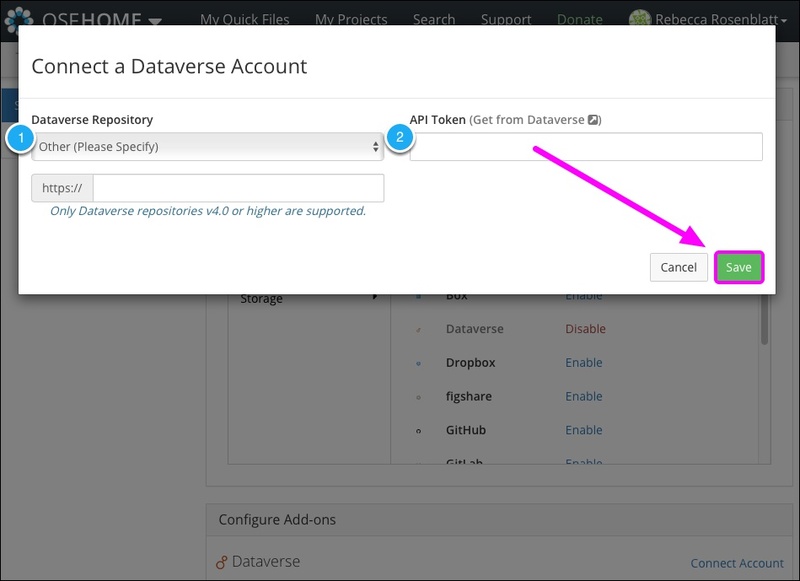 Select a Dataverse repository from the menu, then enter an API token. Click Save to import the repository into your project. 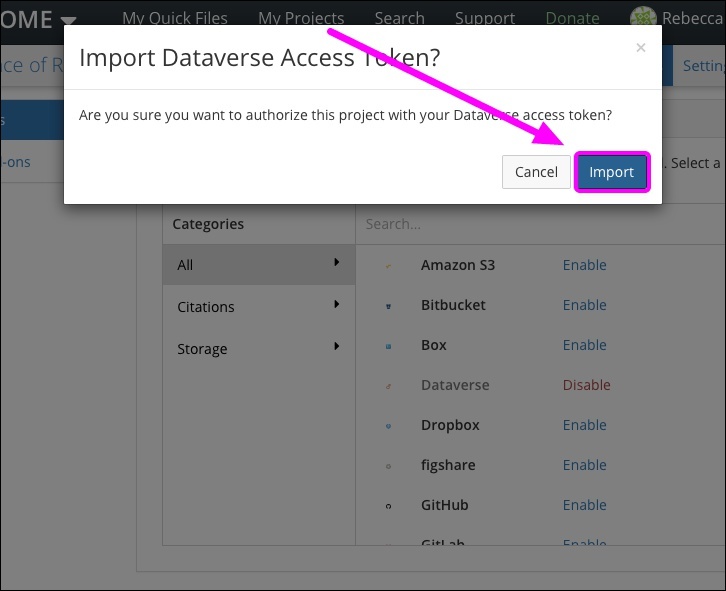 The "Import Dataverse Access Token" modal will appear. Next, select a repository and dataset from the menus, then click Save. Dataverse will be connected to your project.